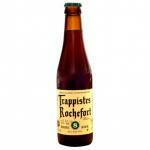 Rochefort is located in the Province of Namur. This small town is home to the Abbey of Notre-Dame de Saint-Remy. 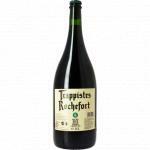 Stirring at the abbey since 1595 but at the time, priority was given to agricultural activity. 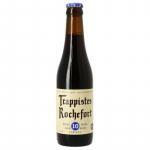 About twenty monks live in the Abbey which 5 involved brewing. 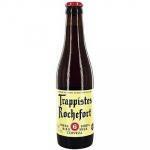 At Rochefort, the amount of beer produced is deliberately limited. The raw materials are important. 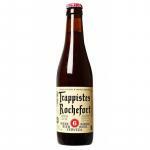 The yeast used is unique to the brewery with its own strain. The naturally pure water is drawn from the source of the Tridaine, near the abbey. 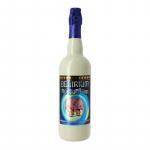 No chemical treatment, physical or otherwise is applied to this naturally pure water. 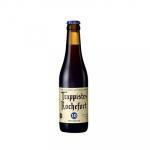 The Trappist Rochefort 6, the oldest, as red capsule 7.5% alcohol. 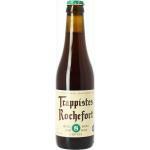 The Trappist Rochefort 8 Special called as green capsule 9.2% alcohol. 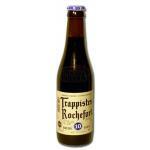 The Trappist Rochefort 10 known as Blue Wonder capsule 11.3% alcohol. 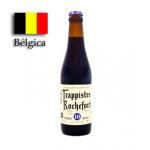 It's Trappist beer with the largest percentage of alcohol. 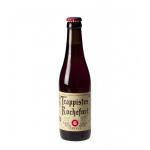 A Trappist beer is a blend of tradition and know-how, rigor and sophisticated. 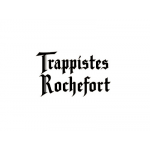 They benefit Authentic Trappist Product logo.